Job searching isn’t always fun. In fact, most people really don’t enjoy the process at all. It can be stressful, especially if you need to find work quickly for financial or even emotional reasons. The work-at-home job scene is no different. If you’re looking for a regular freelance writing job with a traditional company, you’ll have to conduct a job search the same way you’d do it for a “regular” job. Most of these leads will ask for a resume and possibly a cover letter or other written document that shares your experience and qualifications. You might even be dealing with a lot of online application systems, which make it hard to stand out and get noticed in the sea of freelancers. That said, the key to landing a good remote writing job is to get noticed, get in front of the right people, and make a good impression. 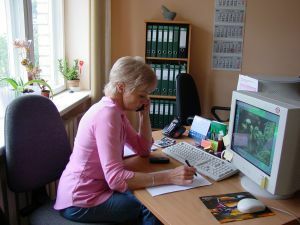 Our own Susan Gunelius wrote a very thoughtful post entitled, 10 Skills Freelance Writers Must Have if They Want to Succeed. I want to expand on her idea and address the subject of people who have work experience in other areas but who aren’t sure that it can be transferred to freelance writing work. This list of skills apply to a number of other jobs that a person who is interested in freelance writing may have held in the past. When you are creating a writing resume and you are looking for ways to describe your previous employment, accenting these types of duties is a way to show the prospective client that you are a good fit for the freelance writing gig. You can also accent these skills in your cover letter when applying for a freelance writing gig. Just because you are working remotely, it doesn’t mean that you don’t need to show that you work well with others, and the ability to solve problems may be even more important in this type of work arrangement. The client is relying on you to remember the instructions you have been given and to use good judgment when implementing them. You also need to be able to demonstrate that you can use a computer properly and that you have good communication skills. Being organized and able to prioritize tasks is another skill that successful freelance writers have. To translate your previous jobs into skills that will benefit you as a freelance writer, start by breaking down each one into tasks that you performed on the job. Then consider how each one relates to the kinds of things you will need to do as a freelance writer. This type of work involves a lot more than composition, and if you keep that fact in mind, you will be able to present yourself to a prospective client more effectively. We share lots of tips for freelance writers here at Freelance Writing Jobs but we don’t often delve into the client’s point of view. Since several members of the FWJ community have asked about how clients qualify writers, I felt this worthy of exploration. Those are very good questions. Blind trust is never a good thing, and we should always ask to see what isn’t obvious. The truth is, I’ve hired dozens of freelance writers over the past 20 years. Not only for this network, but also for clients, when I was an editor for several sites, and for both the publishing and graphic design firms I worked for in the 80’s and 90’s. 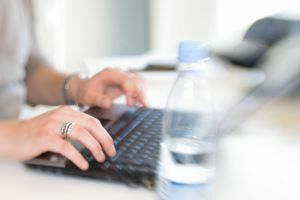 I can tell you some of the methods I use to research freelance writers, and if there are any freelance writing clients in the peanut gallery, I’m sure they can chime in as well. If your potential freelancer has an online presence you can give him a Google. This will bring up his greatest hits and show you where he was published and even what groups and organizations he belongs to. However, you can’t rely on solely a web search for accurate information. For example, many of the freelancer’s clients might be offline or private clients. The freelancer might also have valid but non-bylined experience. Go beyond Google to learn about the freelance writer you wish to hire. Also consider not every writer chooses to have an online portfolio. Some writers only take clients via word of mouth or because the client reaches out to them. Just because a freelancer doesn’t have a price menu or big flashing advertisement on her blog, doesn’t mean you should write her off as a candidate. Her subtlety might indicate she’s more selective about who she chooses to work with. Ask for a current copy of the freelance writer’s resume. This will list all of his past and present client and give you more valid research points than Google. You will have a list of companies to investigate and perhaps even people to call. The timeline will indicate how long this candidate has been writing, and, also, other experience relevant to your project. Here’s the thing about references: the freelancer is not going to give you a list of unsatisfied customers so you’re going to have to use your best judgment. Every reference you check will probably turn out rosy. Glowing testimonials are fine and dandy, but don’t be afraid to ask the freelancer if she’s had any clients or projects that didn’t quite work out. The issue might not have been the freelance writer’s fault. Due diligence is always a good thing and it doesn’t hurt to check before learning the hard way this person isn’t who she says she is. Again, not all freelancers choose to build online portfolios. Offline they might have files filled with magazine and newspaper clippings, white papers, research reports, grants or business plans. Ask qualified candidates to send scanned copies of some of these projects so you can see if his or her writing style agrees with your vision. Not every freelancer is a long time freelance writer. Perhaps your potential freelancer was a staff writer who is trying to break into freelancing. You may also be contacted by people who are experts in their niches, and are good writers, but have no online experience. Their samples and resumes might be enough to tell you if this writer is for you. Don’t take anything at face value. Not every freelance writer chooses to keep an online portfolio or sales page. If you’re curious why, ask. If you have any questions about experience, ask. The important thing is to not make assumptions based on a web search. Granted, a web search can be very revealing. However, many times you have to dig deeper than the obvious to learn about a writer’s true experience. Do you hire writers? What methods do you use to find the best person for the job. Do You List Client Names on Your Freelance Writer Resume? Last week, I wrote about whether freelance writers actually need a resume. Since many of us do use one, I thought it would be worthwhile to consider whether and when to name clients on it. The rule that I have is a very simple one: If the work that I do doesn’t have a byline with my name on it, I don’t name the client on my resume. Some clients are very particular about letting the world at large know that they hire freelance writers to do work for them, and they are entitled to a certain level of privacy. Unless one of them specifically told me that it’s all right to mention them by name, I would err on the side of keeping that information confidential. In our work as freelance writers, we sometimes are privy to confidential information about our clients and their business. In a past life (and that’s what it feels like now), I worked in a number of law firms and I was told from the outset that the quickest and easiest way to get fired from that kind of job is to blab about client information. I’ve carried that policy forward into this career choice, too, and that includes who has hired me to work for them. I think that most prospective clients are more concerned about what you can do for them, as opposed to who else you have worked for. You can list the types of projects you have worked on without naming names, and that might be the better way to go. If you reveal too much information about your past and current clients, a prospective one will wonder (and for good reason) if you will be discussing their business as well. When you do think it’s appropriate to list client names on your freelance writer resume? Do You Need a Freelance Writer Resume? Looking for freelance writing jobs is an interesting thing. As I’ve said before, when you work as a freelancer, you are your own boss. When you apply for work, you aren’t applying for a job, exactly. The person who hires you to work isn’t your employer; they are a client. You might work with a client on the different projects that you do, but you are your own boss. Some potential clients want to find out about a freelancer’s background and education before they hire them and may ask to see a resume. Although I will provide a potential client with a resume on request, I am not altogether comfortable with it. If I was going to hire a contractor do to some work on my home, I would be asking how long the person has been in business as well as some questions about their level of experience with the type of work I need done. Would I ask for a resume before making up my mind? No, and I wouldn’t expect the person to offer to show me one. Why are freelance writers preparing a resume, then? Are we still in the employer-employee mentality? Or are we having trouble explaining to potential clients why they should hire us? I know freelance writers are very creative people, and there has to be a different way that we can present our credentials to potential clients. I also know that there have been many discussions in the blogosphere about how freelancer writers can command better rates for their work. I have a suspicion that one thing that holds freelance writers back from getting paid better for their work is the employer-employee mentality that some of us have. Once freelance writers start to see themselves as business owners and not job seekers, they will be more comfortable quoting the rates they deserve instead of taking what they can get. Perhaps the answer is to prepare a one-page statement of accomplishments instead of a resume or write something that looks more like a brochure that you can share with a potential client. As a business owner, how would you tell a potential client about what you can do for them without using a resume? Working as a freelance writer is not the same thing as being an employer. When you are preparing a resume for a job using a chronological format, you list the names of your previous employers and the dates when you worked there. When you are preparing a freelance writer’s resume, keep in mind that you are working for yourself, and the way you tell a prospective client about your work experience is a little different. A prospective client is more likely to ask how long you have been freelancing and what kinds of work you have done than how long you have worked with a particular client. (It’s a good policy to make a point of not discussing your clients with each other anyway.) Some of your assignments are going to be one-time or short-term arrangements only, simply because that’s all the client needs. If you’re wondering how soon you can list a new client on your resume (if you choose to name names, that is), I would say that you can put this information on your freelance writer’s resume as soon as you like. Rather than listing any of your clients by name, you can focus on the kind of writing you did and the topics you have written about, if appropriate. You aren’t required to reveal how long you have written for a particular client. Your freelance writer’s resume should focus on what you have done, not who your clients are.